4 ft. 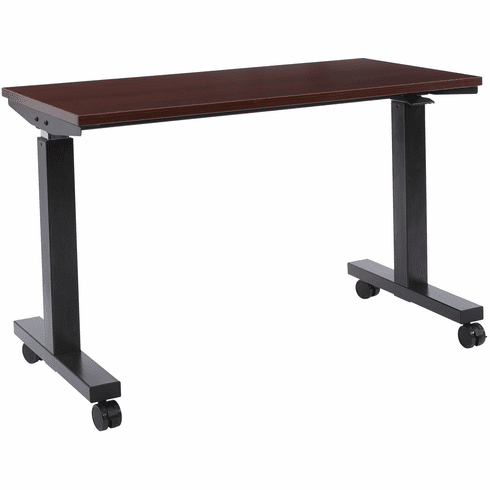 Wide Pneumatic Height Adjustable Table with Locking Black Casters. Black Steel Frame/ Mahogany Laminate Top.